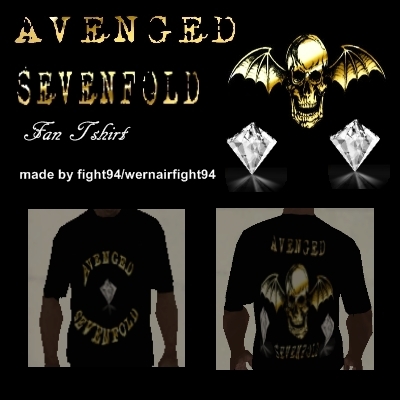 This mod contains: "A7X Golden Deathbat Fan Tshirt". 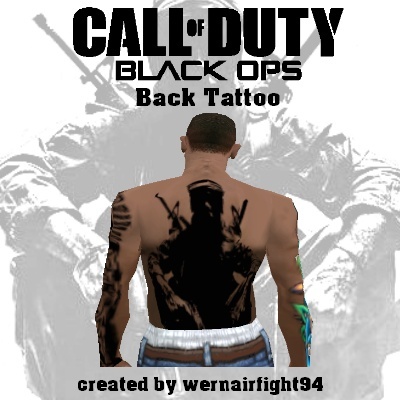 This mod contains: "A7X Buried Alive Fan Tshirt". 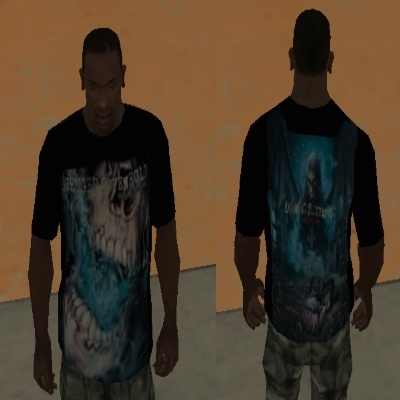 This mod contains: "Avenged Sevenfold Nightmare Fan Tshirt". 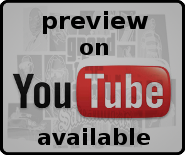 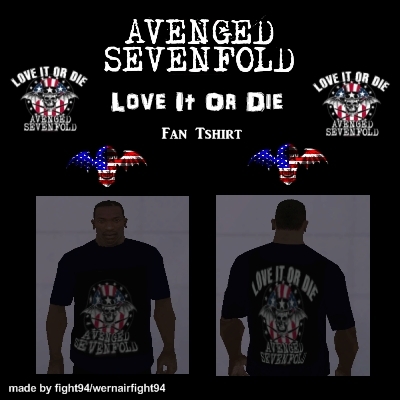 This mod contains: "A7X Love It Or Die Fan Tshirt". 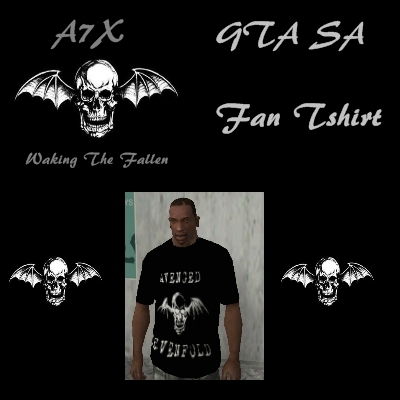 This mod contains: "A7X Waking The Fallen Fan Tshirt". 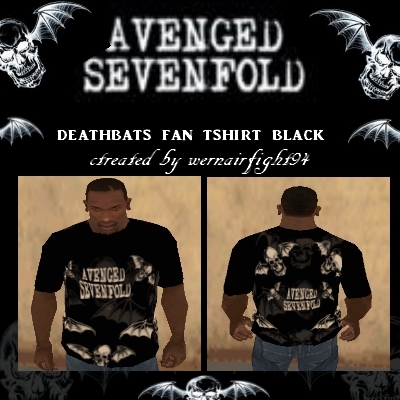 This mod contains: "A7X Deathbats Tshirt Black". 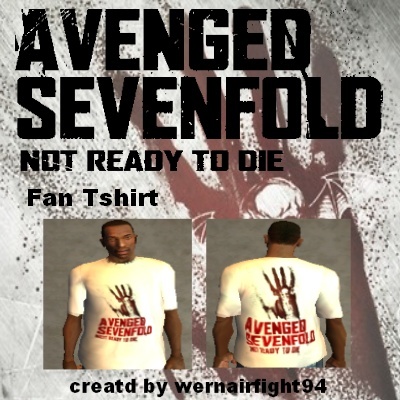 This mod contains: "A7X Not Ready To Die Fan Tshirt". 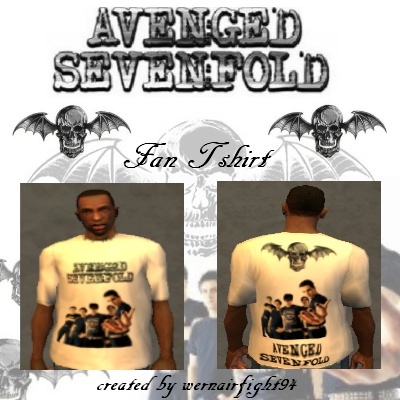 This mod contains: "Avenged Sevenfold Fan Tshirt". 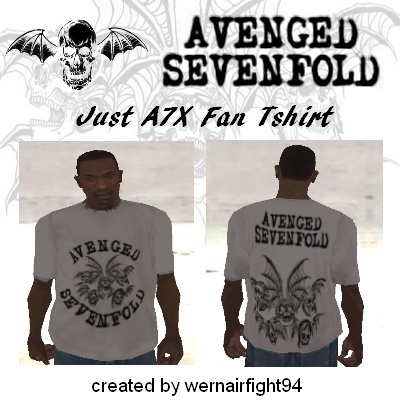 This mod contains: "Just A7X Fan Tshirt". 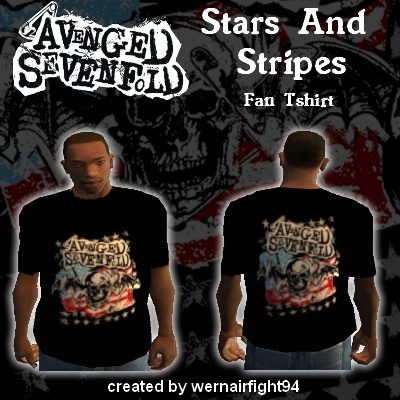 This mod contains: "A7X Stars And Stripes Tshirt". 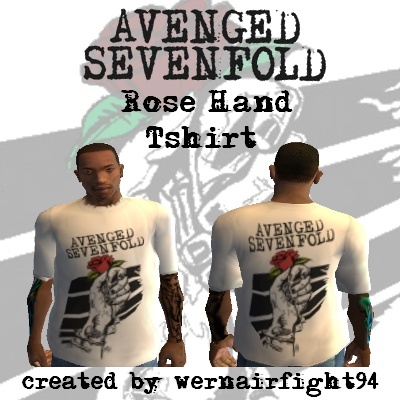 This mod contains: "A7X Rose Hand Tshirt". 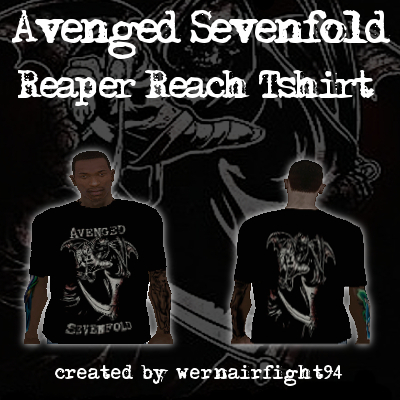 This mod contains: "Avenged Sevenfold Reaper Reach Tshirt". 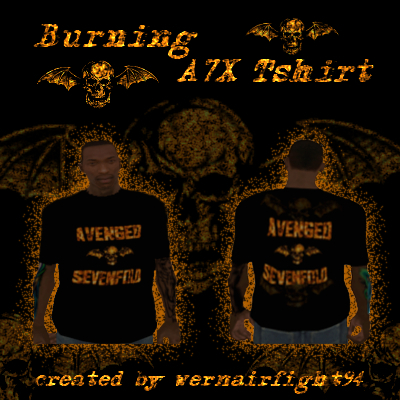 This mod contains: "Burning A7X Shirt".